Landlord-Tenant Real Estate Law | Combs Law Group, P.C. 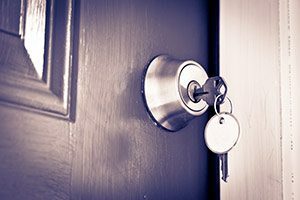 Whether you are a landlord seeking to evict a residential or commercial tenant, or a tenant whose landlord is refusing to return your security deposit or is wrongfully evicting you, understanding and interpreting the Arizona Landlord-Tenant Act is essential. Our attorneys are experienced and educated in landlord-tenant issues. Both in Justice Court for smaller landlord-tenant disputes, and in Superior Court for larger ones, settlement conferences before trial are generally required. 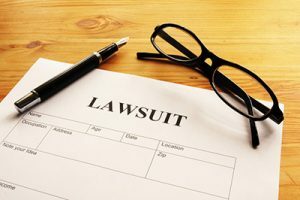 As discussed earlier in These Practice Areas, our attorneys have extensive ADR (Alternative Dispute Resolution) experience. The landlord and tenant verbally agreed that the tenant could lease 1,000 square feet in a commercial strip mall for nine months at a specific rental amount. Is this verbal agreement enforceable? Pursuant to the statute of frauds, A.R.S.§44-101(6), an agreement for “leasing for a longer period than one year” must be in writing to be enforceable. Therefore, a verbal lease agreement with all of the material terms, namely, price, length of term and specific lease space is probably enforceable. We own a rental home and we had a tenant who was like the crazy tenant that Michael Keaton played in the movie "Pacific Heights." We were finally able two months ago to evict this tenant, who promptly posted defamatory statements on Yelp.com and other websites about both us and the rental home. We have been unable to rent the home, and two prospective tenants changed their minds for no reason. Is there anything that we can do? Your former tenant can be liable to you for damages because of untruthful and defamatory online statements that affect your ability to rent the home. A blind person wants to lease a home. The blind person has a German shepherd that has been trained to assist this blind person. The property manager wants to lease the home to this blind person but wants to charge a pet deposit. Can the property manager charge a pet deposit for a service animal used to assist a person with a disability? No. Under Fair Housing laws a service animal used to assist a person with a disability is not a “pet,” and a pet deposit cannot be charged by the landlord. I own several rental properties in Chandler. Under the landlord-tenant statutes in Arizona, I know that I have the right to inspect any of my rental properties with at least two days' notice to the tenant. I recently received a newsletter stating that this inspection notice can be in writing, in person, or over the phone. I understand notice in writing or in person, but is a landlord allowed to give the inspection notice by phone? A.R.S. § 33-1343 simply says that “notice” is required, so notice by phone is authorized. Although an inspection notice by phone is authorized, if the tenant denies receiving the inspection notice by phone, and refuses to allow you access, you would have the burden of proof in court to show that notice by phone was given to the tenant. Therefore, rather than a phone call, a text is better. If there was ever any question in court about notice, you would have a screenshot of the text to show the court. A lease is executed between the landlord and two tenants. There is an altercation between the two tenants, and the police are called. During the search by the police for weapons the police discover illegal drugs owned by one tenant. Can the landlord terminate the lease and evict both tenants? Yes. Under A.R.S. §33-1368(A)(2) a landlord can immediately terminate a lease and evict all tenants if there is possession of illegal drugs on the leased premises. 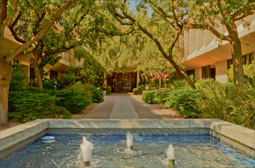 We just purchased a small apartment complex in Glendale. Can we demand that a prospective tenant furnish names of former landlords? If so, are we allowed to contact these former landlords to ask if the former tenant was a good tenant, e.g., paid rent on time or damaged the apartment? Yes, but only if you have the same procedure for all prospective tenants, and don’t unlawfully discriminate against a protected class under Fair Housing laws. Tenant wants to sign a six-month lease for the home. The husband is on a fishing trip to Alaska. If only the wife as the landlord signs the lease, is the lease enforceable? Yes. If a lease is for less than one year, either spouse can sign the lease for the home and bind the community of both spouses. If the lease is for one year or more, however, both spouses must sign the lease. Are Landlords Liable for Information they Give Out? Thank you. You always have a happy side. You are the best. Have a great week.